A quiet area for kids to sneak away to be on their own is a great idea in any playroom. Kids like to be able to have privacy for reading, playing with their toys, and keeping all kinds of sweet secrets, so provide them with a place where they can do so comfortably. 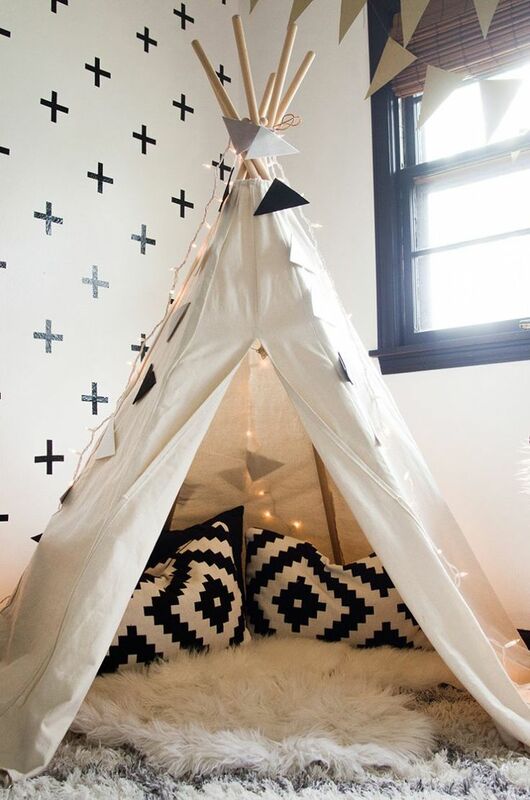 A teepee (as pictured) is a cute way to give kids a private space while also adding some color and pattern to the room. Include a soft space to sit and some plush fabrics to make it cozy.